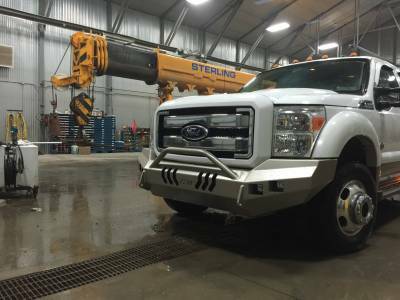 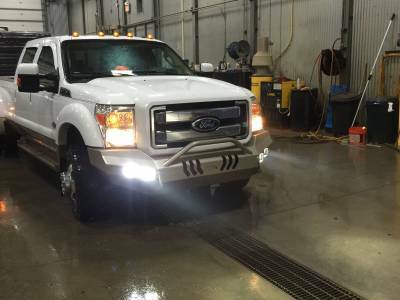 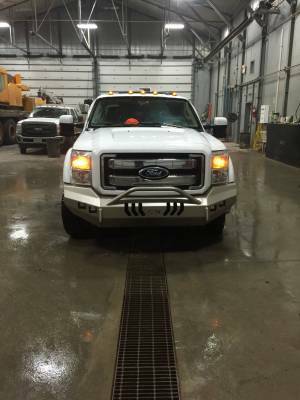 If you're driving your 2011-2016 Ford to the cabin during elk season, a Throttle Down Kustoms Push Bar might be the best bumper option for you. This steel Push Bar adds rugged style to your truck without overpowering its appearance. Whether you're simply wanting to upgrade your truck's factory bumpers or you want protection from on-road hazards such as wildlife, TDK's bumpers are an ideal option. 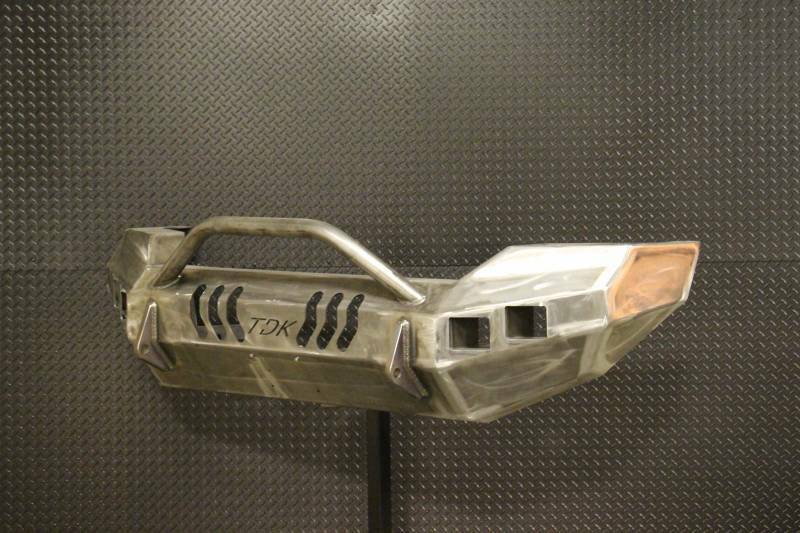 All TDK bumpers are hand welded in the USA by certified, trained professionals. Our meticulous production process results in high-quality Push Bar bumpers that can endure the harshest conditions for a lifetime. 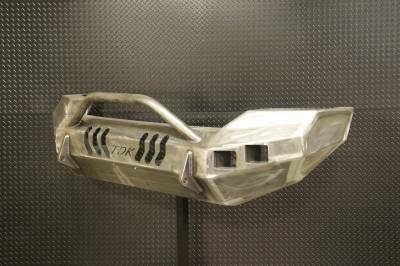 No one-size-fits-all bumpers from TDK - we can customize your bumper to suit your 2011-2016 Ford . Choose whether you need lighting holes for factory fog lights, provisions for parking sensors, powder coating color, and more. Find the perfect TDK steel push bar bumper for your truck here.